ICE ICE, BABY! by Jim Corbran, Automotive Columnist This one can either be filed under “Why Didn’t I Think of That?” or “Better Late Than Never.” Ford has just announced that the new 2017 Escape, available this spring, will offer a windshield wiper de-icer as part of its optional Cold Weather Package. Working much like a rear window defroster, the Escape’s windshield will have heat elements embedded at the base of the windshield which, Ford says, will melt snow and ice in under ten minutes at minus 18 degrees Fahrenheit. Remember you read it here first: I predict this will very soon be as commonplace — and required in most states — as the rear-window defogger. Why it took so long is beyond me. Perhaps some Ford engineer finally got tired of cold January mornings pulling into the parking lot greeted by rows and rows of vehicles with their wipers pulled away from the windshield to prevent them sticking to the glass during the workday, saluting all who drove by. 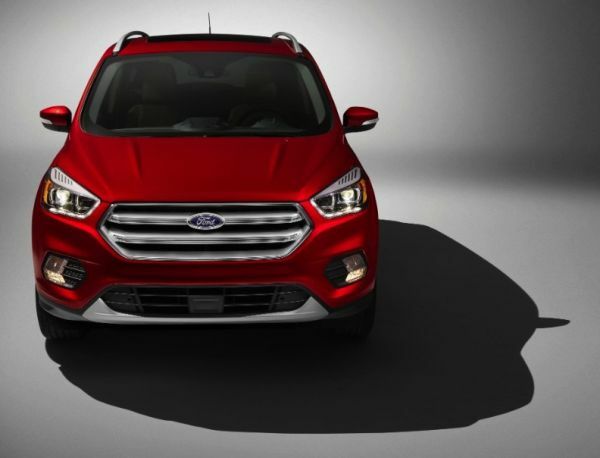 Also included in the Escape Cold Weather Package will be all-weather floormats, heated side mirrors, heated seats, and a supplemental powertrain conditioning heater. The wiper de-icer is already standard on Escape models sold in the Great White North (Canada), and will soon also be available on other models in the US. More info? See the demo video. ### The post ICE ICE, BABY! appeared first on Buffalo Cars.